Estate Auction!!! Saturday, February 23, 2013 10 CST. 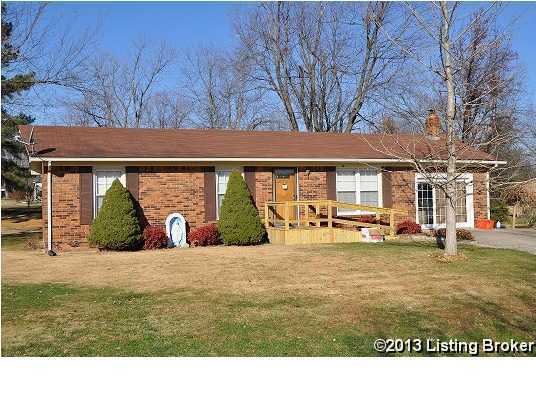 REAL ESTATE 3 Bedroom, 1 Bath Brick Home with Family Room, Living Room, Utility Closet, Central Heat & Air and Storage Shed all on nice lot in Leitchfield. In addition the house includes hardwood floors and oak cabinets throughout the kitchen, replacement windows, handicap accessible entrance ramp, nice rear deck and covered patio. This property would make a great investment opportunity or starter home! Open house, Sunday, Feb. 17, 2-4pm CST. Auctioneer, Shaun Logsdon, Logsdon Group. Kiper is a subdivision within the city of Leitchfield, Kentucky. There are currently 0 Homes for Sale within Kiper, with asking prices ranging from $0 to $0. The average list price per square foot of the available inventory in Kiper is $0, which is the Leitchfield average of $150. The Average Sales price of all sold real estate in this subdivision for the past year is $96,500. Recent comparable homes have been selling for 113.02% of their asking price. Waterfront homes represent of the available Kiper inventory. The population of Leitchfield, according to the 2010 Census, is 6,699. The total number of households in the zip code of Kiper is 5,928, with an average household size for of 2.46 people. The total number of renter households within the zip code of 42754 is 1,709, which means that 71.17% of households in this zipcode are owner occupant households. 1304 S Floyd St, Leitchfield KY 42754 is a Other, with 3 bedrooms which is recently sold, it has 1,350 sqft, 0 sized lot, and Driveway parking. A comparable Other, has bedrooms and 0 baths, it was built in and is located at and for sale by its owner at $ 0. This home is located in the city of , in zip code , this County Other, it is in the Subdivision, and QUAIL RUN are nearby neighborhoods.